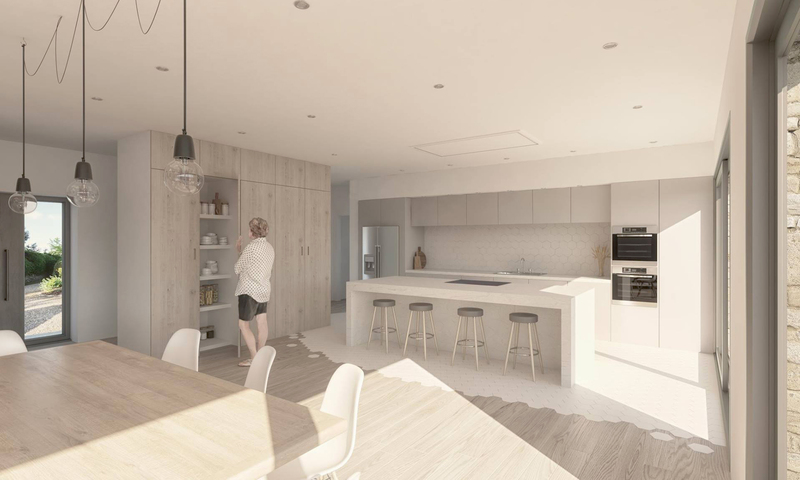 This is a bungalow renovation and interior design project in Whittonstall, County Durham. 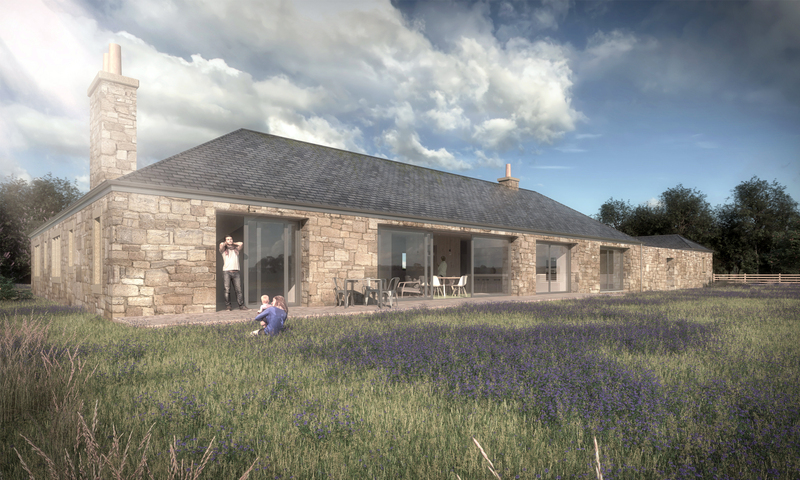 The existing bungalow has an awkward floor plan and small windows, which disconnects the interior spaces from the stunning country views and starves them of natural light. 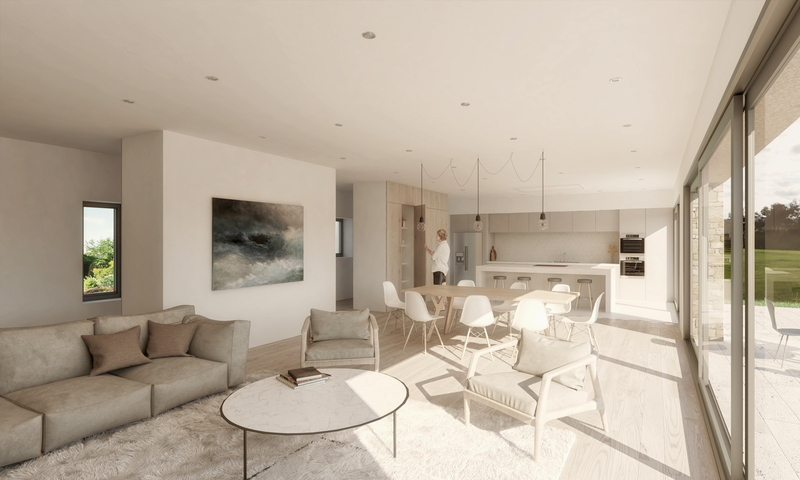 Our idea is to create an exciting open-plan living space at the centre of the house which the other rooms feed off. Huge openings will drag the views into the room and natural light will flood the space. 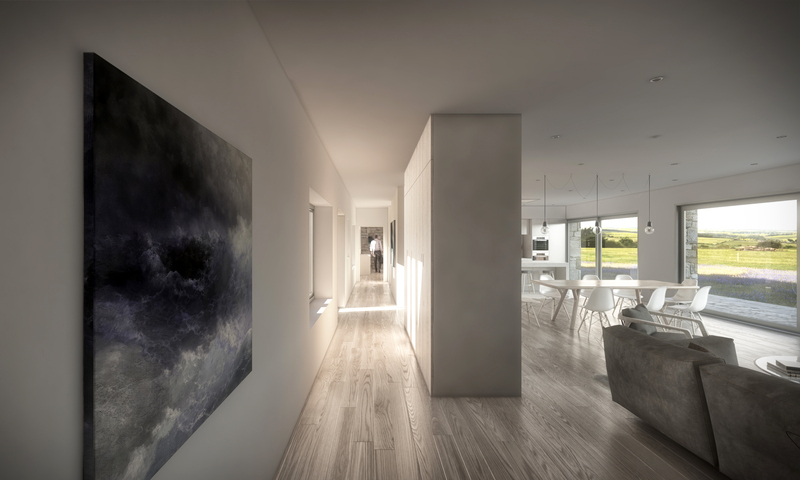 Instead of a traditional corridor, we have introduced ‘floating’ cloak and larder blocks, so that when navigating the house you can enjoy dual aspect views and the depth of the whole living room.